What's "Growing" On @ Cannon? CELEBRATE!!! GCISD Community Votes To Support The 2016 Bond!! I don't know about you, but personally, I was watching the results from the bond election very closely on Saturday night! If you haven't had a chance to read all about the election results and a statement from Dr. Ryan, take a moment to read all about it here! As a result of the bond election, Cannon's school community has a LOT to celebrate, as the district begins to take the next steps into a design phase for a new school! Additionally, there are many projects in the bond package that will benefit students across the district for many years to come! BIG thanks to all in the GCISD community for your support of Bond 2016! Has Teacher Appreciation Week always been the week before Mother's Day? I know that teachers are not the actual parent of our scholars, yet as their teacher, you still act as a parent in many ways. You nurture and accept students unconditionally, where they are emotionally and academically. Just as being a parent is selfless, so is being a teacher. There is nothing easy about being a teacher, but you are an amazing group of professionals who put the needs of our scholars first, every day! Thank you!! There are some FABULOUS instructional technology PD opportunities this summer that we want to make available for you to attend. *NEW* The TIA conference in Denton is scheduled for July 10th & 20th. Let Tona know if you are interested - $35 for both days will be paid for you! Check out this conference HERE. TOTS and Technology, sponsored by TCEA - Frisco from July 24-26. If you are interested in attending this conference, please let Tona know. The registration fee is $279 per person and Tona will pay for the first 3 teachers who send an email to her, stating that they would like to attend AND why! Check out this conference here! iCreate - Region 11 June 20-22. Click here to learn more about this! The first 3 teachers to email Tona to express interest in attending this will have their registration paid for!! 5/12 2nd grade field trip to Main St.
5/24 5th Grade College Day! 6/3 Teacher Work Day - last day for teachers! 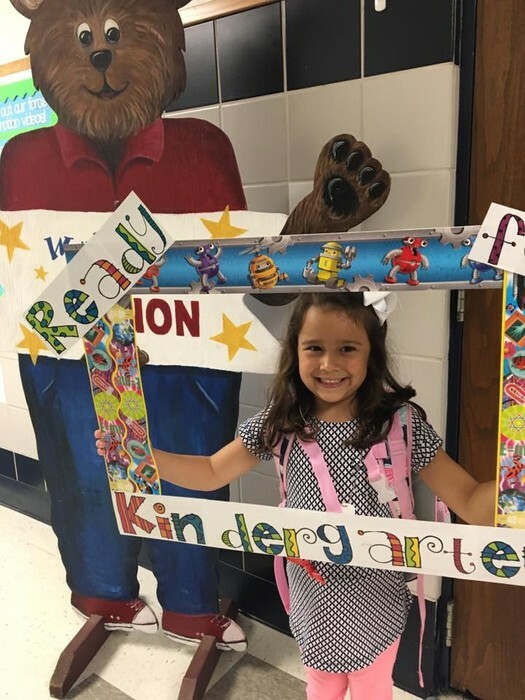 What a FUN night we had last Tuesday when so many of our incoming Kinder scholars made their first trip to Cannon to check out exactly what to expect in Kindergarten next year! 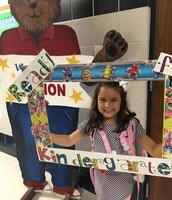 It was a busy night during the Kinder Meet & Greet and the only tears that were seen were when our youngest Cubs were told they had to leave for the evening! In addition to getting registration paperwork completed, shot records checked, posing for a photo, and receiving a Cannon Cub welcome gift, these students had so much fun checking out some learning activities in a Kindergarten classroom! They had the chance to explore Roamer robots, to use construction tools to design structures, and interact with technology through the use of Osmo! While the students played, parents had the chance to meet with Kinder teachers to ask them all about what to expect for their child next year! We can't wait to welcome our Kindergarten Class of 2016-2017 to Cannon- what a great group of students! Thanks to all Kinder teachers, office staff, Nurse Kendra, and administrative team for your help with this event!! 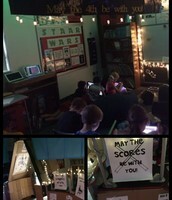 Scholars in 3rd grade reviewed for STAAR in true Star Wars style on May 4th!! 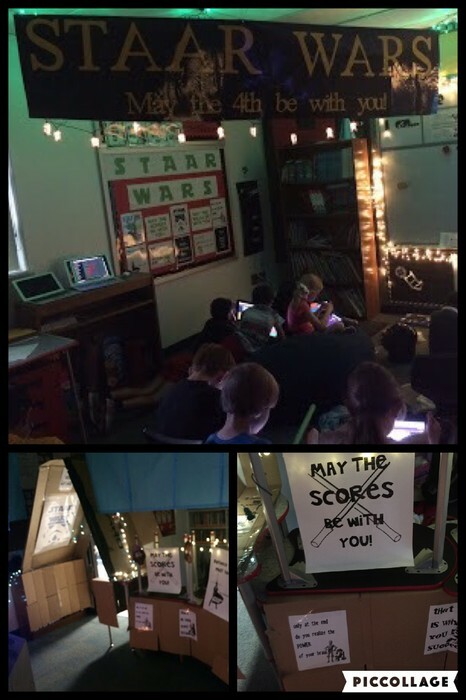 Joe Parthemore transformed his classroom on this day and greeted them with encouraging posters and banners, such as STAAR Review - May the 4th Be With You, in order to engage the scholars in a fun way to review for STAAR! He designed a STAAR Math & Reading review for students using a website called Quizizz. He uses STAAR formatted questions from released STAAR tests, in order to design a self-paced review. For any questions the scholars may have missed, this website allows them the opportunity to go back to analyze these questions. It also allows the teacher to pull reports on the types of questions that were missed most, so that there can be a more intense focus on these. Who says learning can't be fun? Great idea to plan a FUN way for students to review for STAAR!! If you haven't used Quizizz before, check it out here! One potato, two potato, three potato, FOUR! 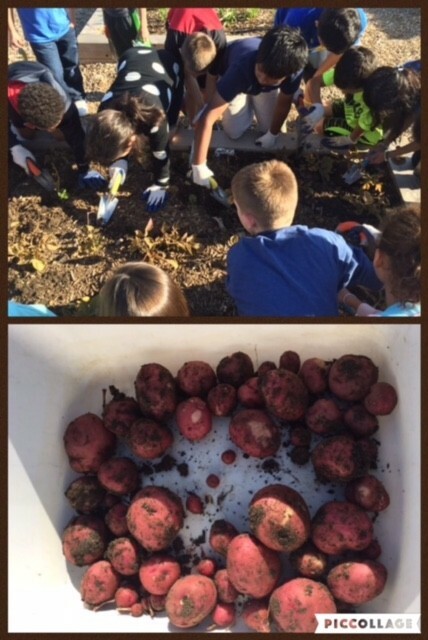 It's finally potato harvesting time at Cannon and our Kinder-5th grade scholars are digging deep to discover how many potatoes are in our veggie beds!! 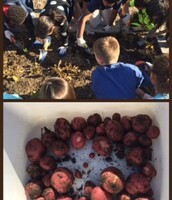 Please make sure your grade level has made plans to harvest your potatoes soon! As Heather shared with everyone, when the plants look like they are dying & leaves are turning yellow, you will know they are ready. Be sure to have your scholars dig down very deep into the soil, as this is where the largest potatoes are being found. The onions are ready to harvest anytime and at any size. Typically the tops of the bulbs push above the soil surface when they are ready. Please refer to Heather's email to staff for important tips on harvesting! We are trying to have a representative from the Food Bank attend our Friday assembly this week, so that we can donate our potatoes & onion. Please let Heather know when you have harvested, so that she can collect these from you! Thank you so much!! STAAR TESTING REMINDERS As a reminder, this is a VERY BUSY week for STAAR testing. All of our 3rd, 4th & 5th grade scholars will be involved in testing this week. Please help support this effort by making sure your scholars are silent when walking in the hallways. Also, please remind parents that we will have a closed campus on Monday, Tuesday, & Wednesday, due to testing. The Specials Schedule for this week was sent by Anne via email on May 5th. Please make sure you are familiar with your grade level's Specials time. Be sure to encourage our Cubs & colleagues during STAAR testing time - it can be stressful for all!! EoY PLANNING The end of this school year is quickly approaching and time will fly by quickly! Please make note of the dates/times of our End of Year Celebration Ceremony for each grade level and start communicating this information to parents now, so that they can make plans to attend. During this week, all staff will receive student placement forms (pink -girls & blue-boys) and a key to use for completing these forms. Upon receiving these, please start completing a form for each student in your classroom. Following that, plan a date with all members of your team, including GT & Sped teachers, so that you can all work together to create classes for next year. Remember to include any information that will be helpful for next year's teachers as they welcome students into their classrooms. Please be sure to ask if you have any questions about this process. FINAL PLANNING FOR YEN! BIG thanks to all of our staff for their hard work within their Engineering Strand teams to plan for such a fun night! The plans are coming along very well, as we now have over 10 EXPO exhibitors scheduled, as well as a fun Young Engineers Photo Booth being created! As a reminder, please add any items that you are requesting as donations from parents to this document ASAP. We are actively communicating with families to request these donations. Please include the following "blurb" in your communications with parents this week, to help us promote this event! Mark your calendars now for our 2nd annual Young Engineer's Night on Thursday, May 19th, 6:00 - 7:30 pm. We have a very special evening planned for our Cannon families! We will have an Engineering EXPO in the gym on this evening with exhibits & demonstrations with experts from Hewlett Packard, UTA Mobile Robotics, Lockheed Martin, Bell Helicopter, Mouser Electronics & more! In addition, families can participate in hands-on engineering design challenges in the engineering strand of your choice throughout the evening. Make plans now to attend this fun & educational night! LAND DESK REMINDER Don't forget to schedule a time with David, so that he can put the Land Desk software on your computers before the end of the school year. It takes about 10 to 15 minutes to do this. Either email or stop by David's office to schedule a time to get this done. It must be completed before the end of the school year. Thank you! Set a timer and complete daily attendance ON TIME! Review Anne's email for Specials schedule during STAAR testing & help keep hallways quiet during testing! Add all of the new May dates to your calendars. Communicate EoY Celebration Ceremony dates to parents. Review all of the summer offerings in the GCISD Summer PD Smore. Communicate our YEN information to parents. Harvest potatoes & onions & let Heather know, so we can plan for the Food Bank. Begin planning for End of Year grade level ceremonies. Begin working on student placement information for next year. Tweet & blog about all of the great things you are doing in your classroom/grade!